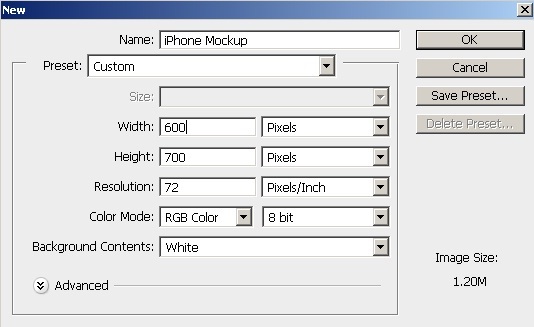 Mobile mockups are in great demand these days. 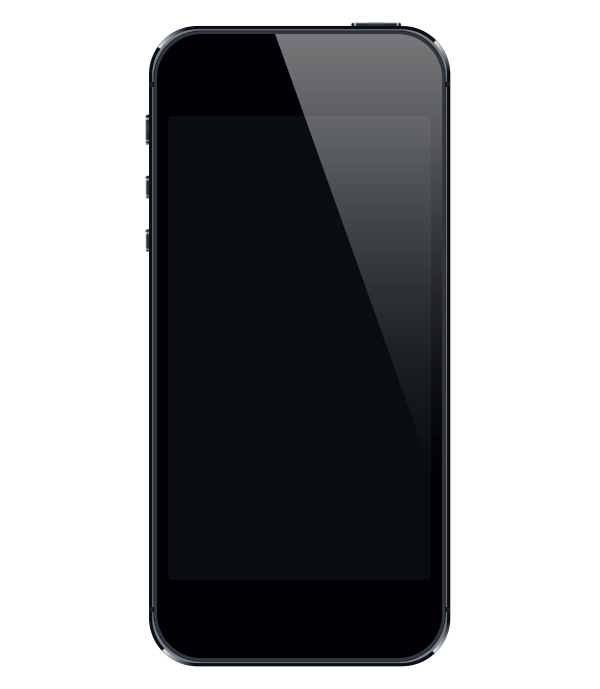 They are the perfect choice for displaying your mobile websites, designs, and apps. Rather than relying on stock photography, it is best to create your own set of screens in Photoshop. It gives you much flexibility to edit and modify your mockups as needed, and it allows you to keep your designs up to date with the rapidly-changing hardware and software of the industry. First, we’ll make the body of the iPhone. Set #000004 as your foreground color. 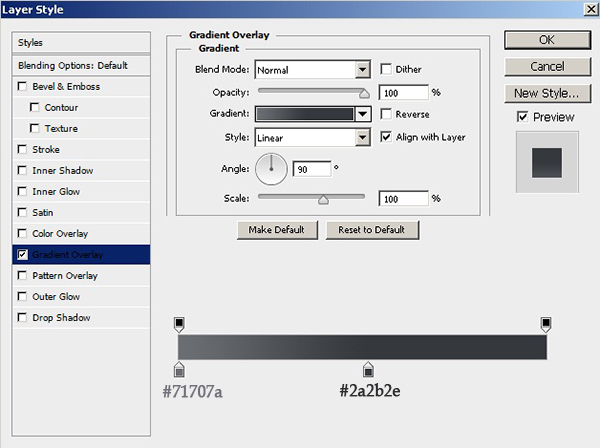 Now, select the rounded rectangle tool, click the canvas, and put the following values into the options window, 285px width, 624px height, and 45px radius. 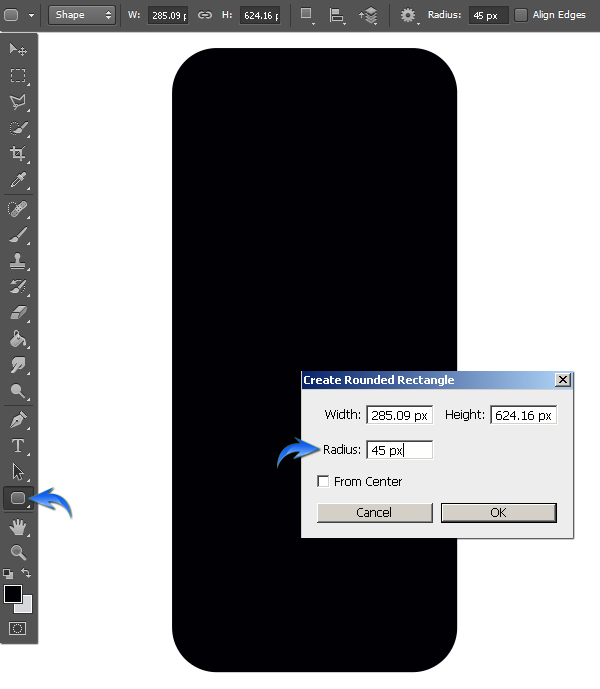 Duplicate this rectangle, label it as “Frame1” and place it below the original body layer. Hide this new copy; we’ll work on the original layer now. 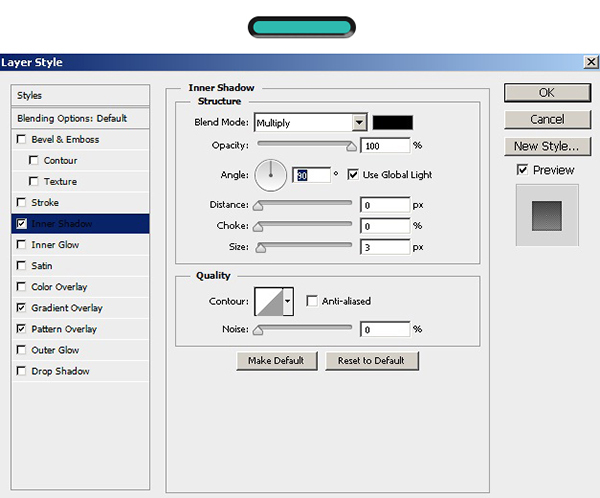 Double-click on the body to open the layer style window and apply the following settings for Stroke and Outer Glow. 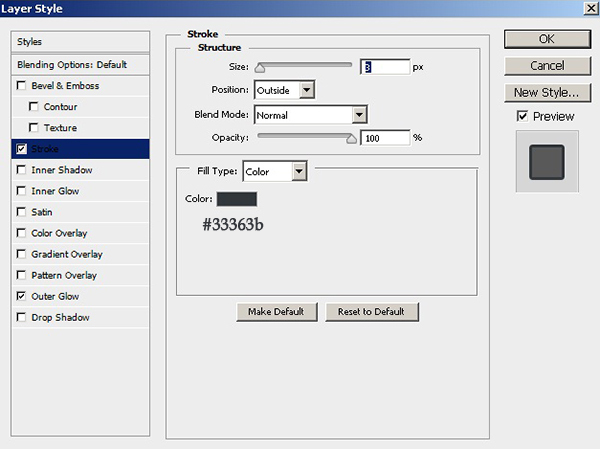 Unhide the “Frame1” layer, and change its color to #767f8f. Slightly increase its size using the free transform tool (Ctrl+ “T”). 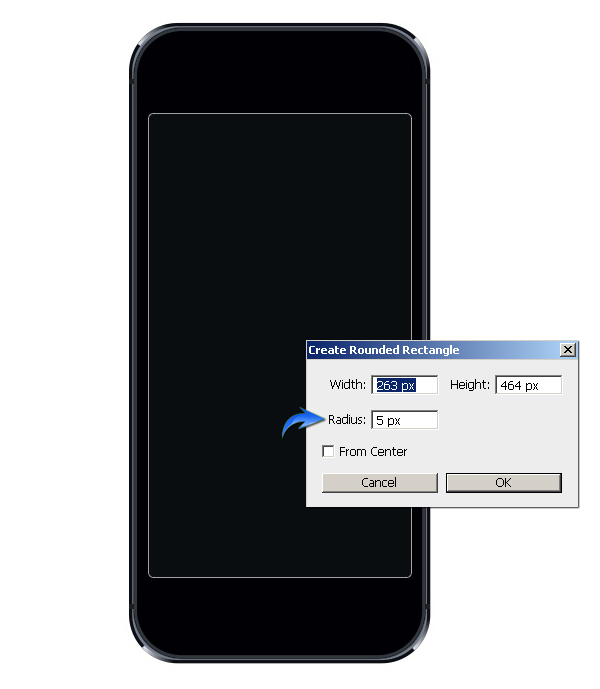 To make “Frame2”, set #0b0e13 as the foreground color and input the following values for “Create Rounded Rectangle.” Make sure to place this rectangle below the rest of the layers. Next, we’ll make highlights over “Frame2”. Create a new layer above it, and select a 10px soft round brush to draw a straight line in pure white. Press the “Shift” key while applying the brush to get a straight line. 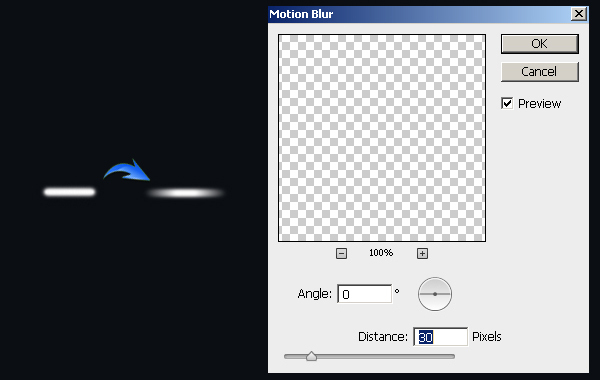 After that, go to “Filter” > “Blur” > “Motion Blur” and apply a 30px motion blur filter to this new layer. Now go to “Edit” > “Transform” > “Warp”. 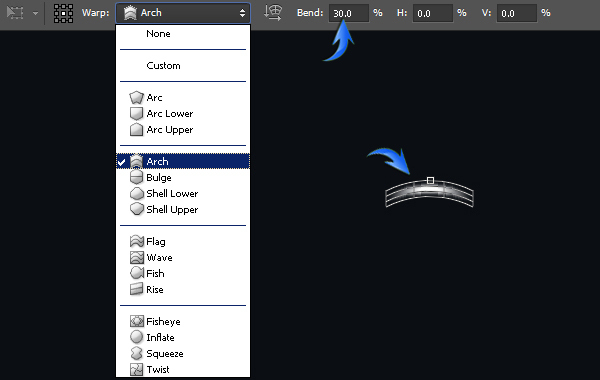 Choose Arch with a 30% bend. Position the highlight over top-left corner at an angle using the free transform tool (Ctrl+ “T”). Now, pick the polygonal lasso tool (“L”) and select the triangular area shown below. After that, go to “Edit” > “Clear” to get rid of the lower portion of the highlight. Duplicate the highlight and position it over the top-right corner using the free transform tool (Ctrl+ “T”). 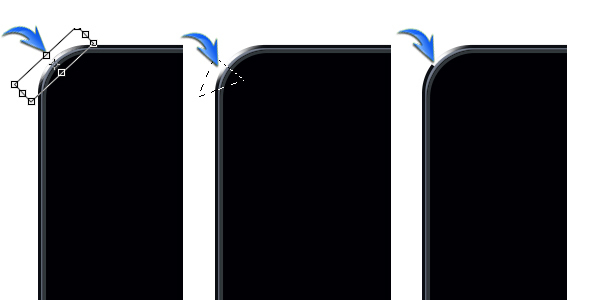 Duplicate both highlight layers and flip horizontally by going to “Edit” > “Transform” > “Flip Horizontal”. Position them over the bottom corners as shown below. 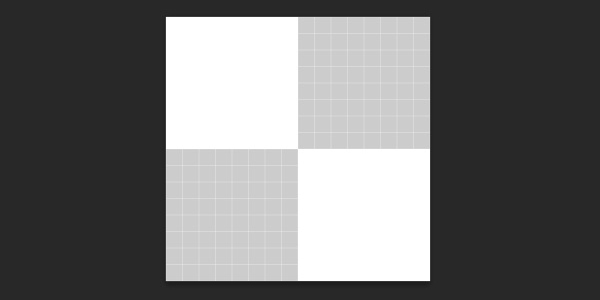 Make a small rectangle using color #1b1f22, duplicate it three times, and position them as shown below. 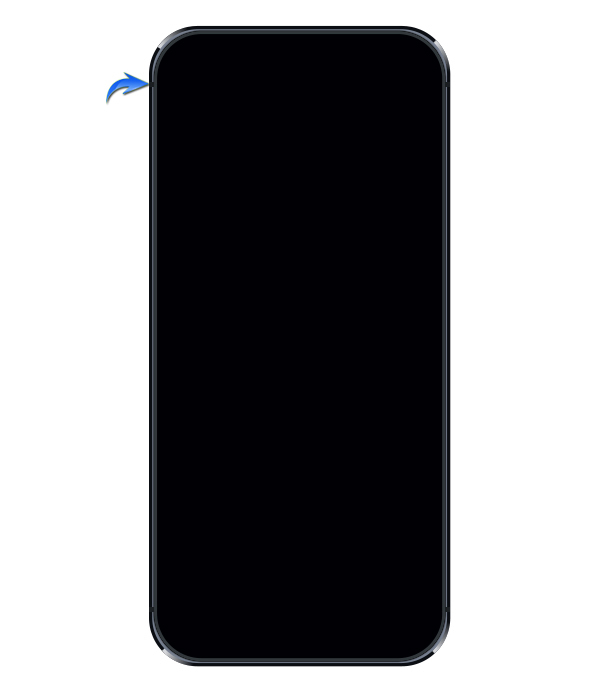 To make the iPhone screen, draw another rectangle using the rounded rectangle tool with the following settings. Next, we’ll make a light reflection. Draw a triangle above the rest of the layers. 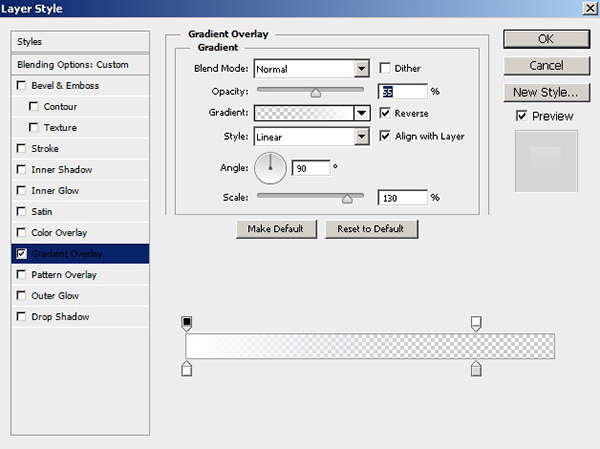 Now, select the body layer and click on the icon to “Add Layer Mask,” which is found at the bottom of the layers panel. This would confine the reflection to the body. 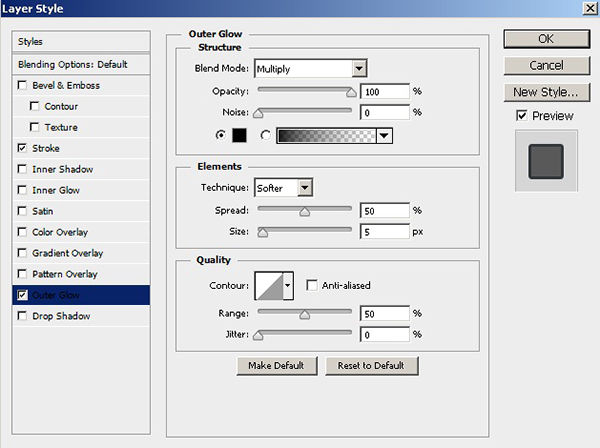 Set the fill of reflection to 0% and apply a white to transparent gradient to it. Next, we’ll make the buttons. 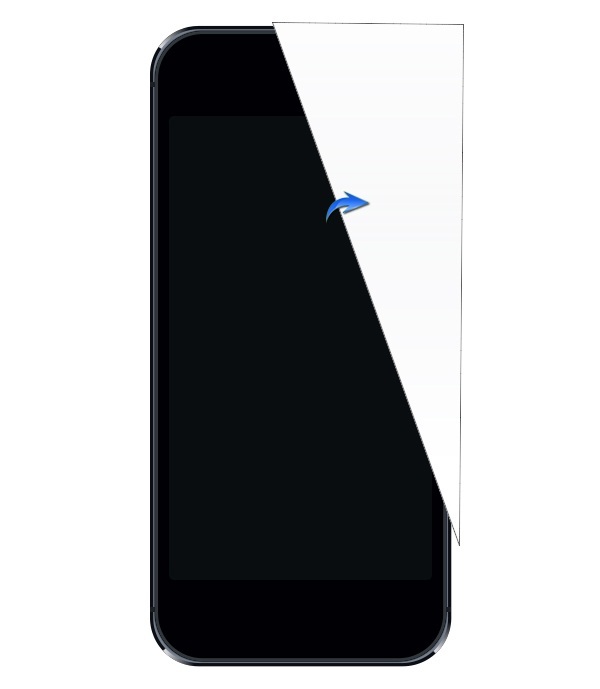 Make a rectangle using the rounded rectangle tool with a 5px radius and #242b33 as your color. Now, press Ctrl + <click on the rectangle> to make selection around it. To make highlights, create a new layer above and apply a soft round brush (40-50% opacity) in pure white over the top edge within the selection. After that, apply the brush at the right and left borders. Make the side buttons using the same technique explained in step 12. Next, we’ll make the camera. Draw an ellipse using color #1e1e1e. To make a highlight, press ctrl + <click on the ellipse> to make selection around it. Create a new layer and apply a soft round brush on it with 20-30% opacity in white color shown below. Draw a smaller ellipse above it using #14171c color and make highlight over it. Make a smaller ellipse using color #0e1377 . Add some shading to it on a new layer using a black and white hard round brush. Reduce its opacity to 50%. Next, we’ll make the receiver. 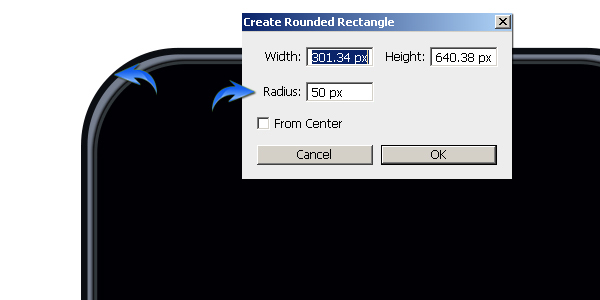 Draw a rectangle using the rounded rectangle tool with a 20px radius and color #191919. Make highlights over it on a new layer using the same technique, and reduce its opacity to 50%. 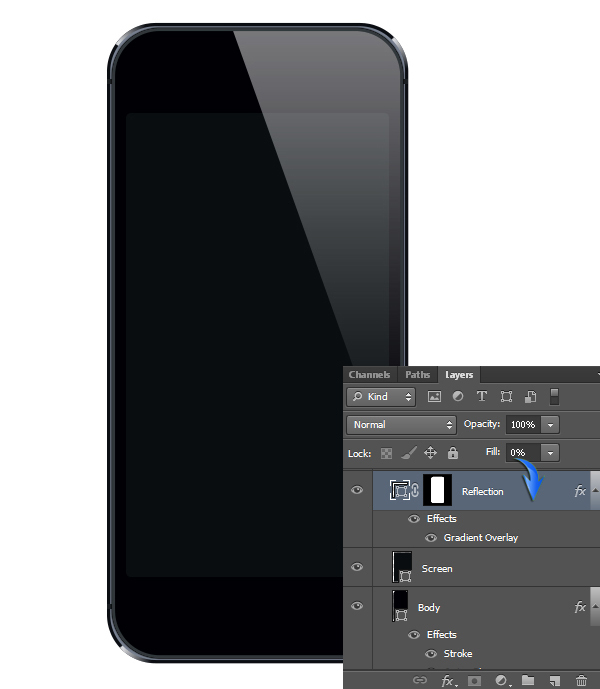 Duplicate the rounded rectangle of the receiver, bring it above the highlights layer, and reduce its size. You can see it below in blue. 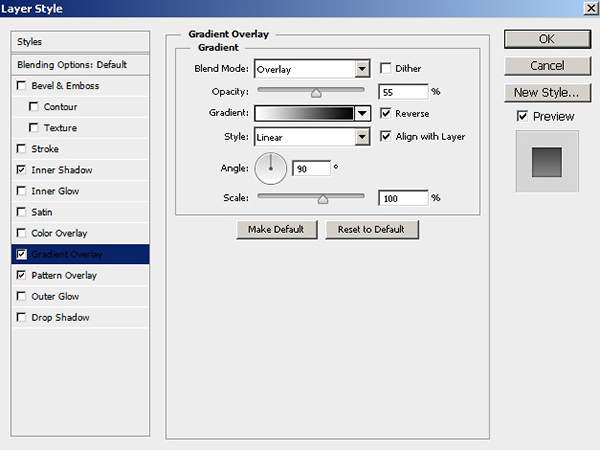 Set its fill color to 0% and apply the following layer style settings to it. 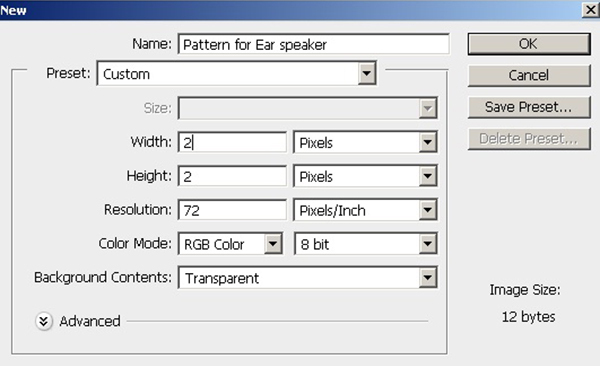 You can make the pattern used here by creating a new 2px by 2px document with a transparent background. 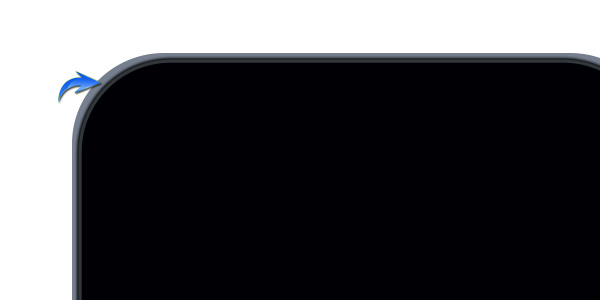 Fully magnify it using the zoom tool (“Z”) and draw the two white pixels shown below. After that, go to “Edit” > “Define Pattern” and save it. 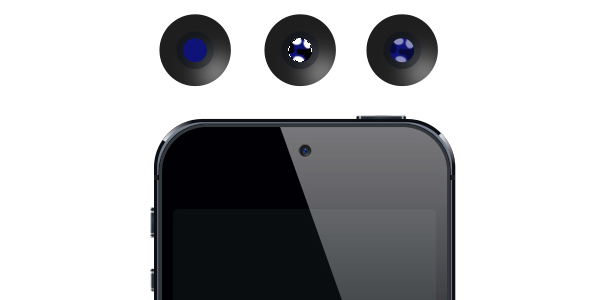 Next, we’ll make the home button. Draw an ellipse using color #1b1b1d. Duplicate it, change its color to #000004, and drag it one step downwards. To make a half-moon shaped highlight over it, duplicate the top ellipse and change its color to a lighter gray (#4f5259). Make an elongated ellipse covering its top as shown below. 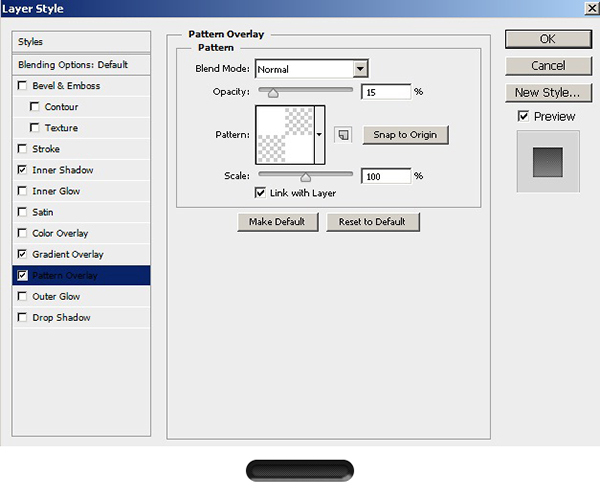 Now, select both the ellipses and go to “Layer” > “Combine shapes” > “Subtract Front Shape”. 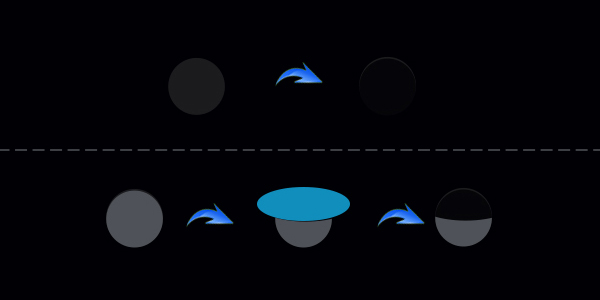 Apply the following gradient on half-moon shape. 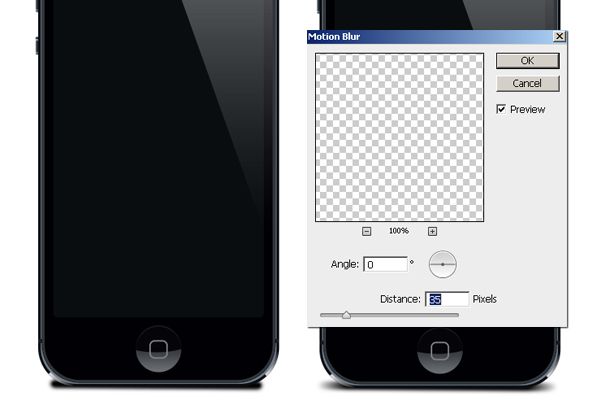 Set #676767 as your foreground color and select the rounded rectangle tool (Tool mode: Shape) with an 8px radius. 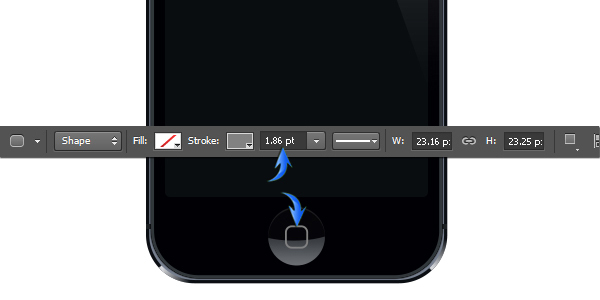 Set its fill color to “none” and set a stroke of around 1.50-2pt in the top options bar to make a rectangular stroke. Next, we’ll make the shadow. Press “D” to pick the default colors and draw a straight line below the rest of the layers using a 14px Soft round brush. 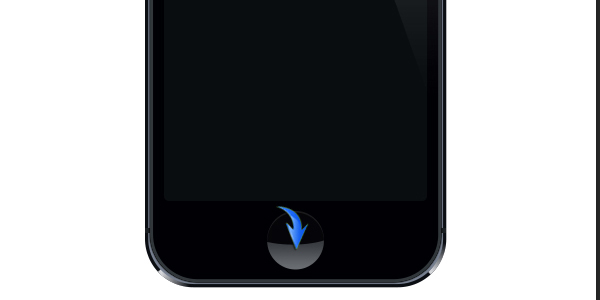 After that, apply a 35px motion blur filter on it to get the effect shown below. That’s it! 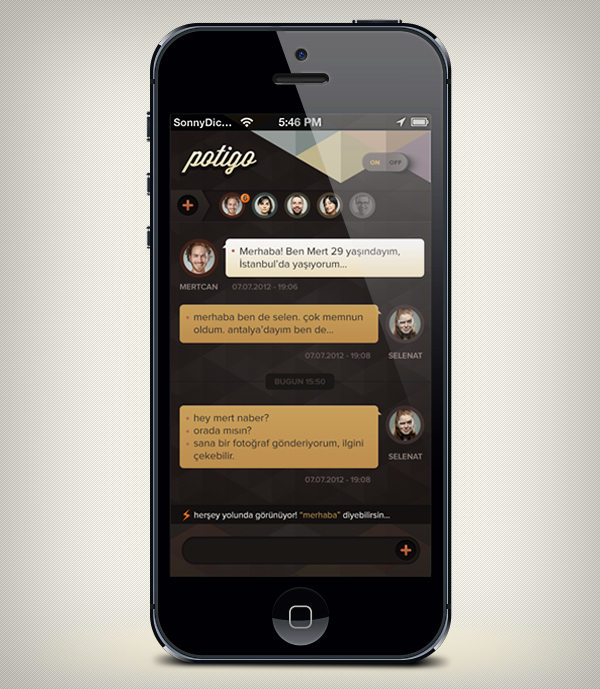 The iPhone mockup is ready to display your app. I hope you enjoyed the tutorial and learned something interesting. Do share your thoughts!